Understanding of biological processes can be taken to a new level by studying the 3-dimensional molecular structures of DNA, proteins, and various smaller biomolecules. 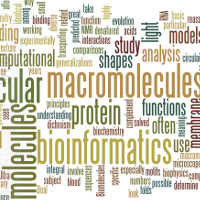 “Structural bioinformatics” will make you familiar with search, manipulation and analyses of structures of large biological molecules, especially proteins. You will learn basic and advanced techniques of protein visualization, and basic analyses of structural models of proteins. After this course you will be able to describe major methods of acquiring protein structural data, make publication-quality images of protein structures, compare proteins by superimposing (overlaying) their structures, make simple molecular animations, find or construct 3D models of structurally unknown proteins, and describe the principles and limitations of protein modeling. Course duration: 6 weeks, expected workload 10 to 15 hours per week. Suggested background knowledge: Basic protein biochemistry, understanding the concepts of primary, secondary, and tertiary structures of proteins, and basic use of Internet and web browsers. Week 1 – Basics of protein structures and structure determination. Simple validation of models by Ramachandran plots. Basic use of molecular graphics software. Week 2 – Molecular graphics: illustrating and highlighting molecular details on screen and print; generating molecular surfaces. Week 6 – Validation and analysis of models and project work. Special requirement: This course teaches you to use the UCSF Chimera software package for protein visualization. The software is free, but you have to be able to download it and install it on your computer. It is available for Windows, Mac OS X, and Linux platforms.